FrenchDistrict > Florida > News, Events > Get your taste buds ready for some wine tasting this March! 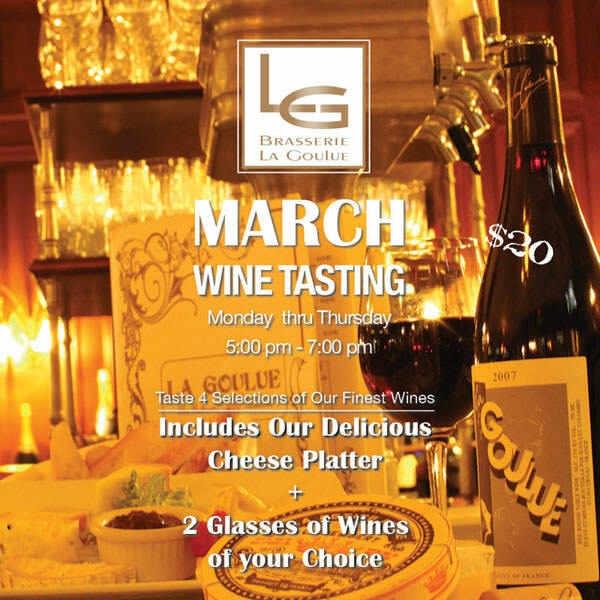 Enjoy some great wines and cheese in March, every Monday through Thursday from 5 pm to 7 pm at La Goulue in Bal Harbour. La Goulue, the Parisian-style restaurant is organizing a wine tasting event from Monday to Thursday during the month of March. From 5 pm to 7 pm, enjoy 2 glasses of wine from a selection of 4 wines, and munch on a few pieces of delicious cheese. 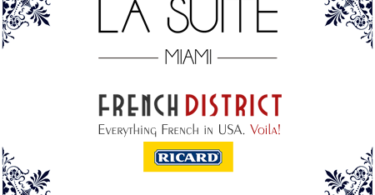 Ricard, an anise aperitif has invited itself to a special evening at La Suite. Why don’t you?